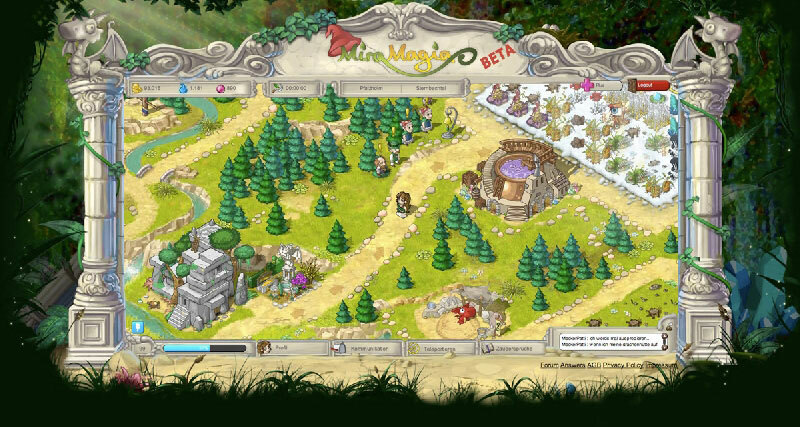 Miramagia is a free to play 2D browser based MMO game published by Travian Games. 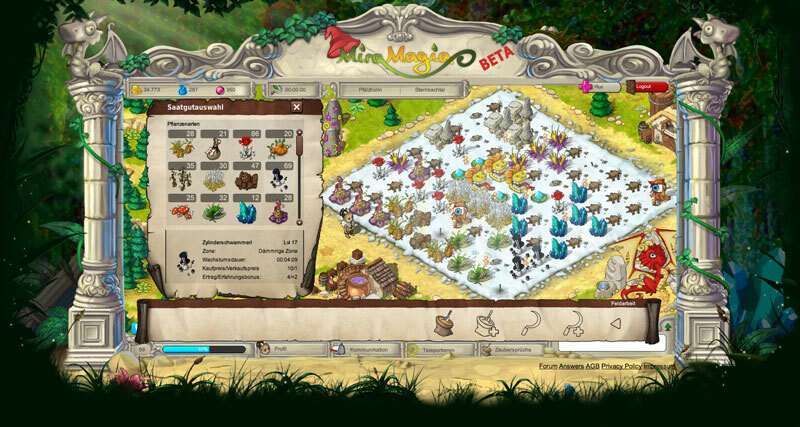 MiraMagia is more like a virtual world game than a strategy one. Graphically very beautiful and appealing, it is designed to catch the attention of younger players or more casual players. Dive in to a wonderful world full of magic. 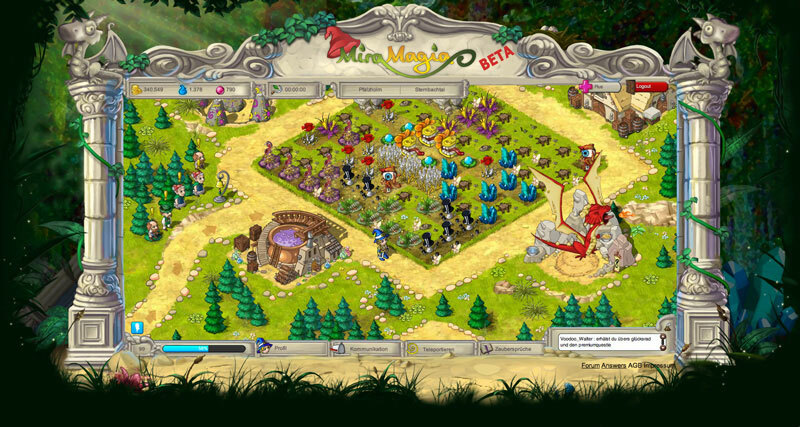 Learn powerful spells, grow colorful plants and raise your dragon! Step into the role of a Druid, Shaman, Mage or Sorcerer. 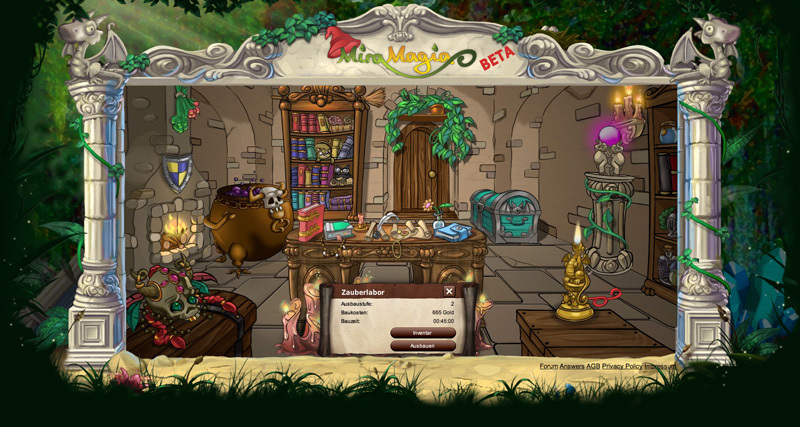 Enter a magical world full of fantastic plants and creatures. Learn powerful spells and change the world! Master the art of growing herbs using mystical plants. Trade exquisite plants and earn sensational profits in the Market. Fulfil even the most difficult tasks set by village visitors. 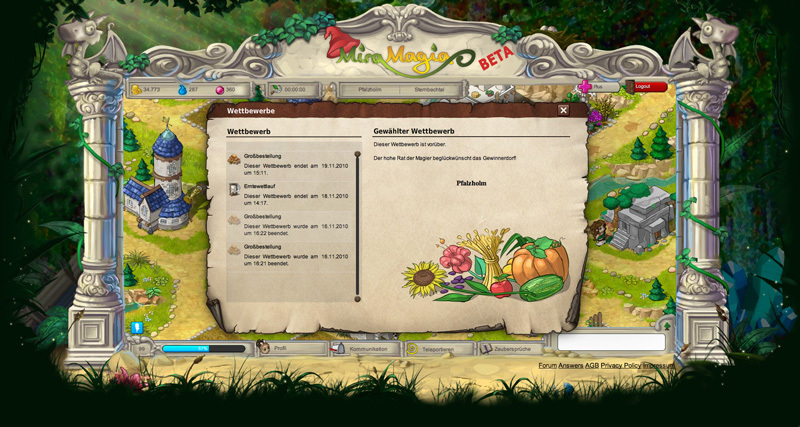 Climb up the rankings and become the most powerful inhabitant of Miramagia!Become a part of your village with like-minded team mates. Work, chat, play and have fun together. Win competitions with your village community and make your village the most beautiful and successful place. Foster and care for your young dragon until it grows into a powerful dragon. Design the most beautiful place for yourself! Funny spells offer many possibilities in decorating, making donations and playing pranks on unpopular neighbors.